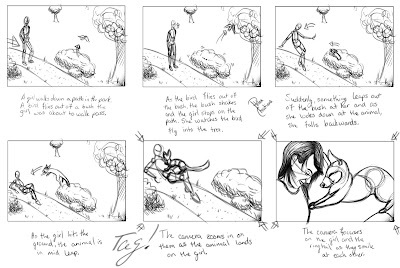 This is a concept storyboard 1 of 3 sketches for my new class. I hope you all like it! I will be posting the other two when I complete them. I have to pick one of them to make a pencil test animation out of. When I have them all competed, I will post all three of them on the same post and you will all be able to vote on which one you would like to see animated. 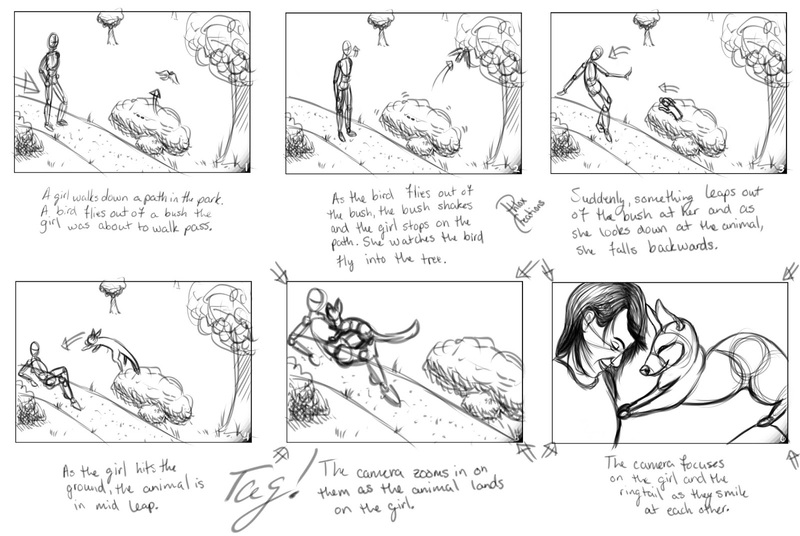 The winning concept will be turned into a short animation for everyone to enjoy!